Keith R. Haupt is a Partner with Wood, Herron & Evans, and is involved in all phases of the firm's intellectual property practice. His patent expertise is concentrated in the area of mechanical technologies. Admitted to the Ohio bar and the U.S. Sixth Circuit Court, Southern District of Ohio in 1992, Keith is also registered to practice before the U.S. Patent and Trademark Office. 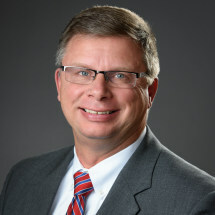 Keith joined Wood, Herron & Evans in 1992 after serving four years as an Engineer with the U.S. Department of Defense. He received a Bachelor of Engineering degree from Vanderbilt University in 1985. He then obtained his Juris Doctor degree with honors from the Ohio State University Law School in 1992. Keith is an active member of the American, Ohio and Cincinnati Bar Associations and the American and Cincinnati Intellectual Property Law Associations. He resides in Sycamore Township, Ohio with his wife Mary Wynn and three children.